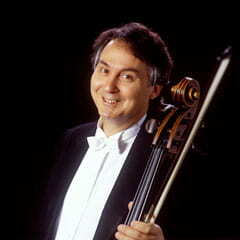 The Los Angeles Philharmonic presents two Colburn Celebrity Recitals during the Festival: one featuring cellist Yo-Yo Ma and pianist Kathryn Stott, and the other featuring chamber music and a large cello ensemble. 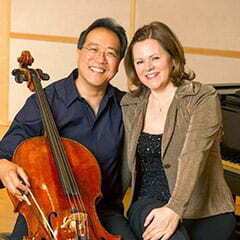 Cellist Yo-Yo Ma and his longtime musical partner, pianist Kathryn Stott, perform in an intimate recital at the Walt Disney Concert Hall. The distinguished Emerson Quartet, joined by cellist and festival director Ralph Kirshbaum, perform Schubert’s Quintet in C major, D956. In the second half of the program, cello quintet SAKURA and their special guests perform Dean’s highly evocative Twelve Angry Men. Finally, a massive ensemble of virtuosic cellists will take the stage to premiere Anna Clyne’s Threads and Traces, as well as movements from Villa-Lobos’s beloved Bachianas Brasileiras No. 1, W246.